Devon Crest Farm was purchased in 1987 by Martin Meinert. 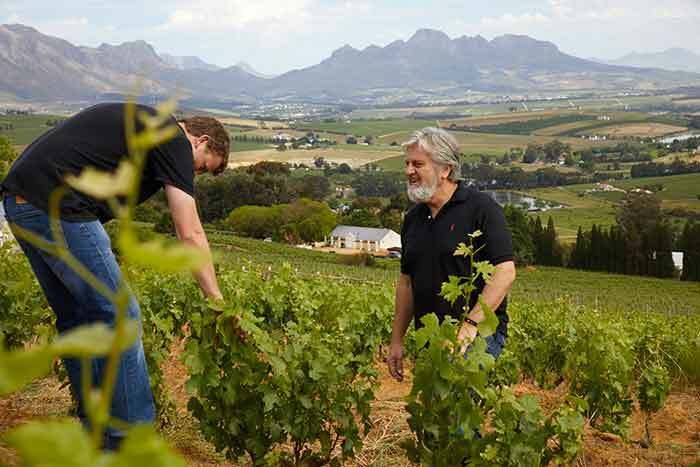 At that stage it was an 11,5ha estate in Devon Valley. 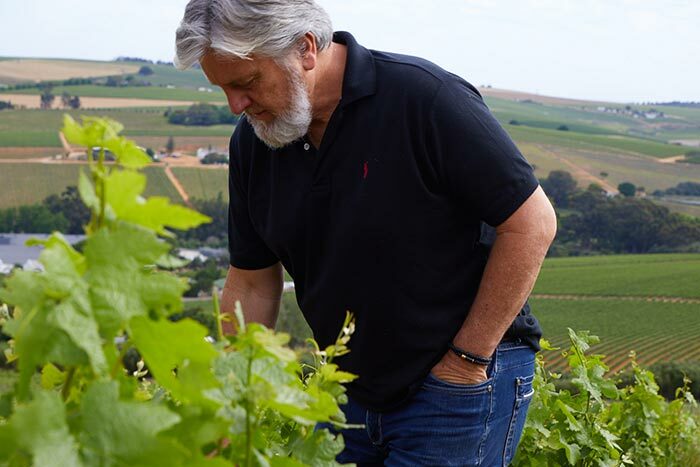 The property was known at the time only as Remainder of Farm 78, District of Stellenbosch and had been planted to Cabernet Sauvignon and Pinotage in 1975. Because most of the vines were debilitated by leaf-roll virus the plan to replant was initiated in 1989, a process finally completed in 2008. In 1997 the family purchased an adjoining parcel of Cabernet Sauvignon and Merlot which had been planted in 1989. The entire farm now covers a total of 16ha. Martin completed the building of the winery in 1990, and the first wine, a small quantity of Cabernet Sauvignon, was made in 1991. These and subsequent vintages including 1996 were never bottled but sold in bulk to wholesalers. Our commercial production began with the 1997 vintage, producing a Merlot and a Cabernet Sauvignon/Merlot blend which were released in 1999. We rely on Devon Crest Vineyards as the source for our red wines. Devon Crest is now fully planted to Cabernet Sauvignon, Merlot, Pinotage, Cabernet franc, Petit Verdot and a small vineyard of Semillon. The last two varieties produced their first crop in 2012. For the Sauvignon blanc and Riesling grapes we rely on top growers in Elgin, chosen for delicate cool climate characteristics.